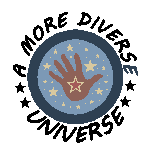 I host the A More Diverse Universe (#diversiverse) reading challenge each year with the goal of getting people to read books written by people of color. The challenge has evolved since it started - it used to focus specifically on the SFF genre, but now it was expanded to include any book by any person of color. It's been wonderful to host, and my goal is to have here a repository of book reviews so that anyone looking to diversify their reading has an easy place to go. This is a work in progress, but I wanted to make it available as quickly as possible. It's tough to get things formatted in a way that is easy to follow, and even tougher to organize the books using anything other than title or author (organization by genre, for example, is a goal for the far future!). But having everything in one place is very important to me, and being halfway there is better than not being anywhere at all. So at long last, here are all the A More Diverse Universe reviews posted since the beginning of the event (2012). They are sorted by title. I hope the list helps to inspire you the way it has helped to inspire so many people! The links to reviews are under the blog name. Thanks for keeping this list! This is a wonderful list, Aarti, and #Diversiverse helps so much with building a poc literature archive! Small correction, the first title I reviewed is called "Also by Mail" and the author's name is Olumide Popoola (entry 19 from the top). Thank you for that! My text to columns in Excel was bamboozled by the word "by" in that title :-) It also gets confused by dashes in last names. Oh yes, Excel and words :D Thanks for correcting it!